Scottish clergyman and writer (1766-1838), an acquaintance of Robert Burns, national poet of Scotland. Autograph letter signed. Edinburgh. 4to. 3 pp. With integral address panel. One addendum (s. b.). 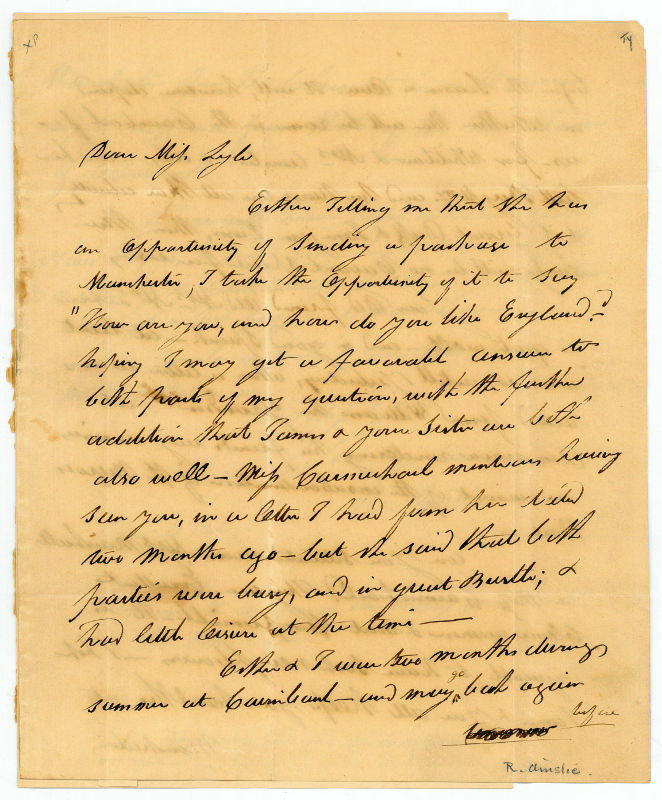 To Miss Lyle: "Esther telling me that she has an opportunity of sending a package to Manchester, I take the opportunity of it to say 'How are you, and how do you like England?' [...]". 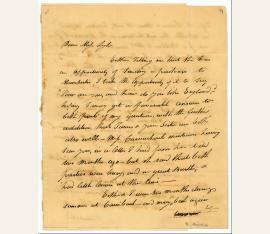 - Ainslie reacting to a letter received by Miss Lyle's friend's grandson that contains news of an insurrection in Demerara (British Guyana) writes "[...] rendering his friends my enemies on account of the insubordination of the Negroes there [...]". - On August 1, 1834, the law abolishing slavery throughout the British Empire took effect. Also included is a 102:102 mm partially printed form with "Name 'ROBERT AINSLIE' / Profession 'CLERGYMAN' and Date 'Oct. 4, 1834'", entered in ink, and mounted on a card. From the collection of Diana Herzog..